Abstract: This paper studies port dual regulation mechanisms in which a central government and a local government act either simultaneously or sequentially. Optimal tariffs, port capacities and port efficiency levels under these dual regulation schemes are determined following a principal-agent approach. The theoretical research can assist the thinking process that prevails during the shaping of regulatory systems in the port sector. Moreover, the theoretical results obtained are applied to a case study involving the container terminals in the Port of Shanghai in China. 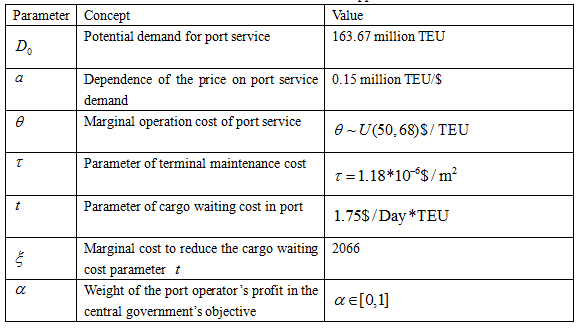 Sensitivity analysis and comparative studies show that (i) dual regulation causes the highest distortion when the central government and the local government act sequentially, (ii) the port operator obtains the highest profit when the central- and local government act sequentially, (iii) the distortion becomes worse when the port operator�s cost increases, the weight of the port operator�s profit in the government�s objectives decreases, or the sensitivity of port demand with respect to its price increases. Reference: S. Zheng, R.R. Negenborn. Design of port regulation mechanisms for multilayer governance: A Shanghai case study. Maritime Economics & Logistics, vol. 20, no. 1, pp. 89-111, March 2018.